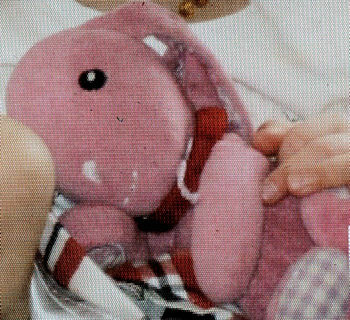 I am looking for a 12 inch 1995 Carter’s white rabbit with a chime in soft fabric printed with bears that are sitting down and are in pink, blue and green. 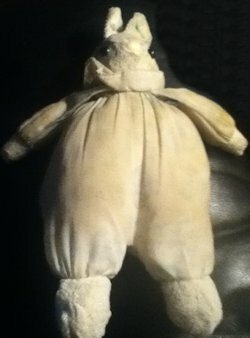 I’m looking for a 10 inch 2011 Walmart Galerie tan and pink rabbit with a white muzzle and pink nose, ears, and feet. I’m looking for a 12 inch 2007 Sugar Loaf? vending machine floppy green rabbit with rainbow spots. Her material was kind of like a rug. 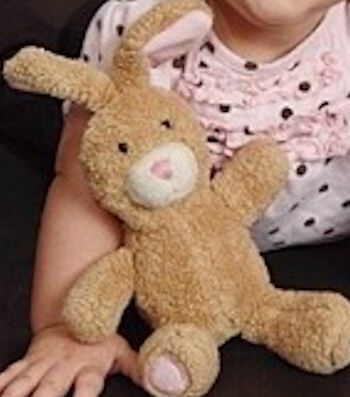 I’m looking for a 2010 Old Navy hot pink rabbit with white and lavender gingham plaid inside the ears, on the bottom of the feet, and underside of the paws. 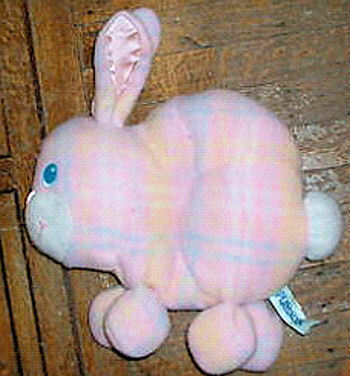 I’m looking for the pink plaid Playskool Snuzzles Blankies rabbit. 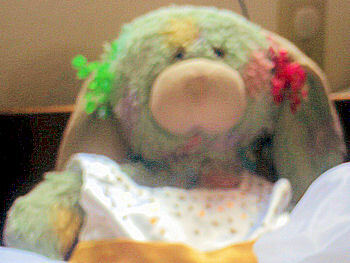 It’s the flat pillow style bunny type with satin underside. 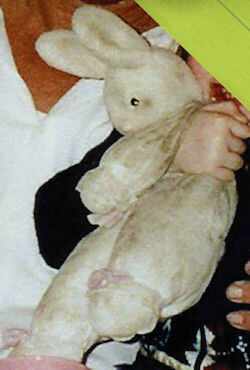 I’m looking for a 90’s 12 inch white rabbit with pink lace trimmed flower print body and white furry face and feet.